On February 4th, the International Polar Foundation, in partnership with the InBev-Baillet Latour Fund, launched the fourth InBev-Baillet Latour Antarctica Fellowship - a €150,000 research grant for early career polar scientists interested in conducting research in the vicinity of Belgium’s Princess Elisabeth Antarctica research station in the Dronning Maud Land, East Antarctica. SciencePoles had a chat with the fellowship organizers in order to help answer any questions young researchers might have about the fellowship. What is the overall objective of the InBev-Baillet Latour Antarctica Fellowship? At a time when climate change is creating important challenges for society, polar research is vital to providing a better understanding of how our planet and its climate system function. The InBev-Baillet Latour Fund and the International Polar Foundation are both committed to supporting scientific research in the Polar Regions, and the InBev-Baillet Latour Antarctica Fellowship is a way to help build scientific capacity, encourage young researchers and promote polar science. What exactly does the Fellowship offer to young polar scientists? The Fellowship awards €150,000 to a young scientist to conduct a research project in the vicinity of the Princess Elisabeth Antarctica research station over two successive summer research seasons in Antarctica. The grant covers academic and research costs for the laureate, including living and travel expenses and logistical assistance at the station during the field campaigns. This year’s laureate will go to Antarctica during the 2014-2015 and 2015-2016 austral summer seasons, in the period between November and February, when the Princess Elisabeth Antarctica is occupied. Who can apply for the fellowship? The InBev-Baillet Latour Antarctica Fellowship is open to all current doctoral researchers as well as post-doctoral researchers who obtained their PhD no more than 10 years ago. Applicants of any nationality from any university or research institution around the world can apply. However to be considered, applicants need to submit a research proposal within one of the following fields of research that are possible in the vicinity of the Princess Elisabeth Antarctica research station: glaciology, microbiology (excluding marine microbiology), geology, and atmospheric sciences. Where will the laureate be based when they are not in Antarctica? The Fellowship's objective is to provide young doctoral and post-doctoral researchers with a grant to carry out field research within the framework of their current research project. The laureate’s employer will remain his or her current research organisation. The laureate will need to ensure that they have the facilities at their disposal to continue with their research when they are not in Antarctica and complete the Fellowship project. Where exactly is the Princess Elisabeth Antarctica research station located? The station is located about 200 km inland from the coast of Dronning Maud Land, East Antarctica at Utsteinen Nunatak, not far from the Sør Rondane Mountains at 71.57°S 23.20°E. Why is PEA and the region around it an interesting place to conduct research? The station is located in a part of Antarctica where little research has previously been carried out, so there’s a lot to study! What kind of research goes on in the region? There’s a lot of research going on in a wide number of different disciplines. 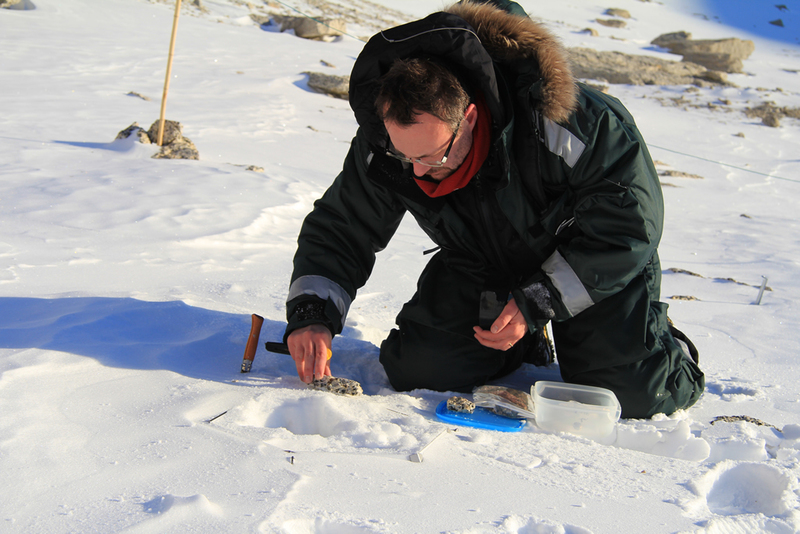 There are a number of opportunities to conduct glaciological research. Glaciologists from the Vrij Universiteit Brussel (VUB) and the Université Libre de Bruxelles (ULB) have worked in the area investigating grounding lines (the last point of contact the ice flowing off of the ice sheet has with the continent before flowing out over the ocean and becoming an ice shelf) and how they can change as ice sheets advance and retreat. The 2012 Fellowship laureate, Dr. Reinhard Drews from the Glaciology Laboratory at the ULB, spent two seasons in Antarctica investigating the buttressing effect of pinning points and ice rises on the Roi Baudouin Ice Shelf under the Be:Wise project. The region around the station is also very interesting geologically. It was once attached to what is now the southern part of Africa. A team from the German Federal Institute of Geosciences and Natural Resources (BGR) has been looking at the geological history of the region, focusing on the formation of the Gondwana supercontinent 600-500 million years ago and its breakup 180 million years ago. There are also seismological studies going on at the station, and the region is a good place to search for meteorites, which is something a number of Japanese researchers from the National Institute of Polar Research (NIPR) in Japan and 2010 Fellowship laureate Dr. Steven Goderis from the Department of Geology at the Vrije Universiteit Brussel (VUB), have been working on. Microbiological studies have been quite popular around the station as well. One project has been looking at how the construction of PEA has influenced microbial populations and diversity in its immediate vicinity. Another has been examining how a warming climate might influence microbial populations. The first InBev-Baillet Latour laureate, Dr. Elie Verleyen from the Laboratory of Protistology and Marine Ecology at the University of Ghent, used the grant money to study the deglaciation history and past changes in ice-sheet thickness and climate in the Sør Rondane Massif during the Late Quaternary during the DELAQUA project. That’s quite a diverse amount of research going on. Indeed. And that’s only the tip of the iceberg, to use a worn-out yet appropriate pun. You can learn more about past and current research projects on the PEA website. The website also gives you an idea of what the surrounding area is like, especially through the amazing photographic work of many of the station crew. And from the news and interviews with scientists on the site you can get a feel for what daily life is like at the station. What kind of logistical support can a Fellowship laureate expect? The highly professional and experienced logistics team at the Princess Elisabeth Antarctica research station offers full logistical support to all scientists who conduct research in the vicinity of the station. Their support includes providing highly experienced field guides, as well as mobile units that serve as laboratories and living quarters that scientists can use for extended periods of time (days or weeks) while conducting research away from the station. Sounds interesting. How can you apply? The International Polar Foundation has set up a webpage on their main website dedicated to the project. From here, applicants can download a submission package and get more detailed information about the Fellowship and the application procedure. Once they’ve completed the application, applicants need to send it directly to the InBev-Baillet Latour Fellowship Secretariat by email. Are there any guidelines applicants should know about when applying? 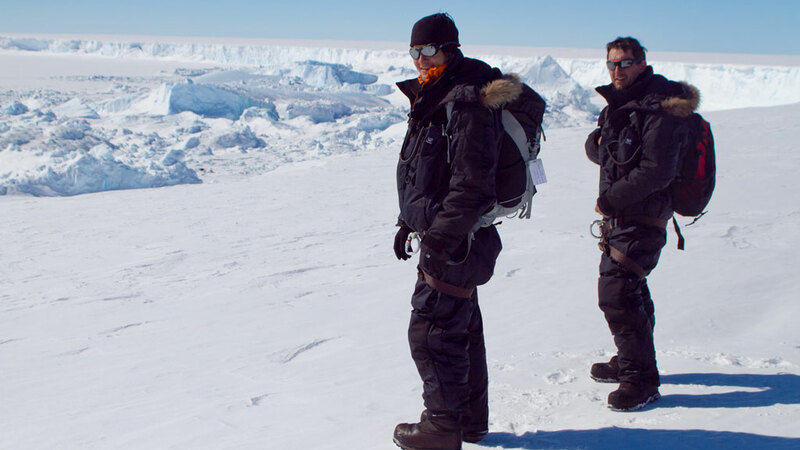 Applicants must be able to satisfactorily defend why they need to conduct their research at or in the vicinity of the Princess Elisabeth Antarctica station. The research projects must be new and original, meaning they shouldn’t duplicate ongoing research. And like all international grant programmes, the proposal submitted to the InBev-Baillet Latour Antarctica Fellowship Committee must be in English. You can consult the application documents posted on the webpage for further details. How will the project proposals be evaluated? There will be two rounds of evaluation. In the first round, an international jury of scientific experts will examine each project’s scientific merit and short-list a number of research proposals. There will be three different experts evaluating for each of the four potential fields of research for this Fellowship Call, so twelve in total. The short-listed proposals will then go to the Antarctica Fellowship Committee, which is made up of two representatives of the InBev-Baillet Latour Fund, two members of the IPF Board, a representative of the Scientific Committee on Antarctic Research (SCAR), and the President of the Scientific Jury that short-listed the projects. The Antarctica Fellowship Committee will closely examine the scientific merits of each project and take into consideration practical aspects, such as logistics and feasibility to select the laureate for the 2014-2016 Fellowship. In the budget, how much does transport to Antarctica and accommodation take up? Flights to Antarctica will be provided by the Dronning Maud land Air Network (DROMLAN), and the prices are set on an annual basis depending on the cost of fuel. Cargo can be shipped by sea or air depending on the timing of the researchers’ arrival at PEA. Researchers should estimate around 30,000 € and 40,000 € per person per field campaign (so 60,000 € to 80,000 € per person for two field campaigns), but a more accurate estimate can be made by completing the Financial Annex which is part of the application procedure. Applicants are welcome to contact the Fellowship Secretariat if they have any questions regarding the budget for fieldwork. How is the Fellowship money paid? The procedures for project payments and reporting will be discussed with the laureate when the Fellowship is awarded. The grant will not be split between several beneficiary organisations or individuals. The Project PI for all intents and purposes receives the Fellowship and is the main contact for the project for communication purposes. And the most important detail…what’s the deadline for submissions? The Fellowship Secretariat will accept Fellowship applications no later than April 10th, 2014. Applications received after this deadline will not be considered. Are there any other requirements applicants should know about? All applicants need to pass a physical evaluation before going to Antarctica. Antarctica is a physically demanding environment, so you need to be in good physical condition to be allowed to go. If applicants have any questions at all after reading through all the application materials on the fellowship web page, they are certainly more than welcome to contact us by email at: fellowship@polarfoundation.org. We look forward to reading all the interesting proposals young researchers send in! Every two years since 2008, the €150,000 InBev-Baillet Latour Antarctica Fellowship has provided early career polar scientists with the opportunity to conduct research in East Antarctica operating out of the Princess Elisabeth Antarctica research station. Young researchers from all around the world are encouraged to apply. 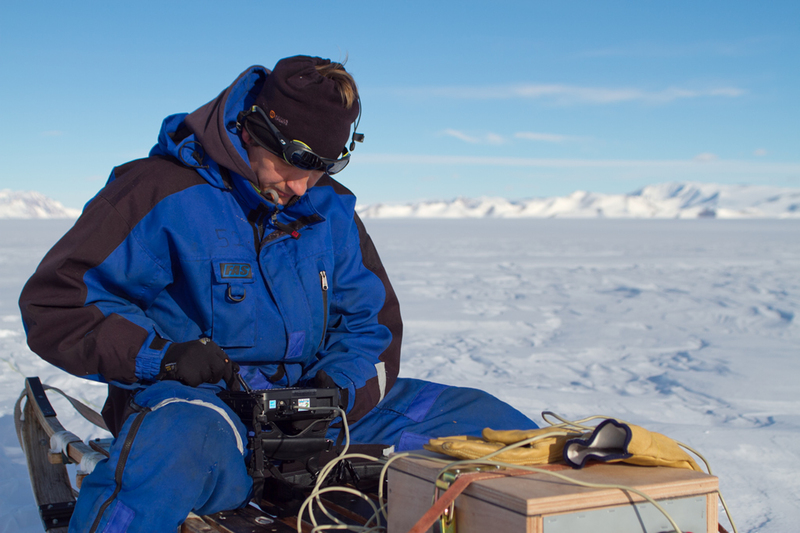 2012 laureate Reinhard Drews working with a radar device he used to image the Roi Baudoin Ice Shelf. 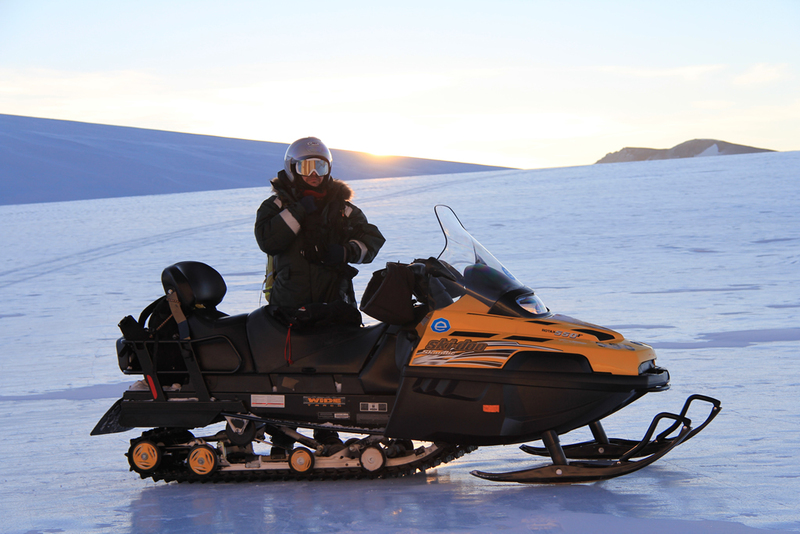 2008 laureate Elie Verleyen poses with a skidoo. 2008 laureate Elie Verleyen taking samples of microbes during a field expedition. 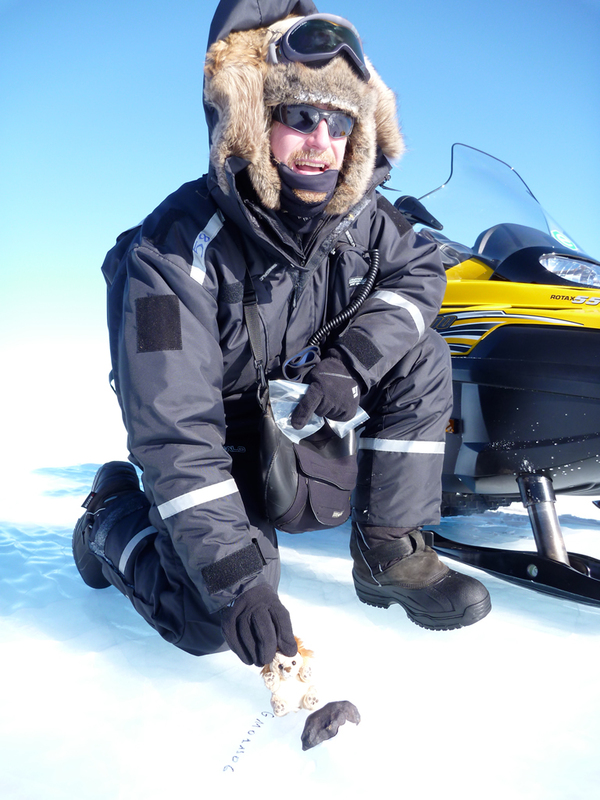 2010 laureate Steven Goderis photographed with a meteorite he found in a blue ice field. The team photographed meteorites next to a toy for size comparison.